Mary Barrett Tidewater Golden Retrievers: Danno Gets His Show Championship! 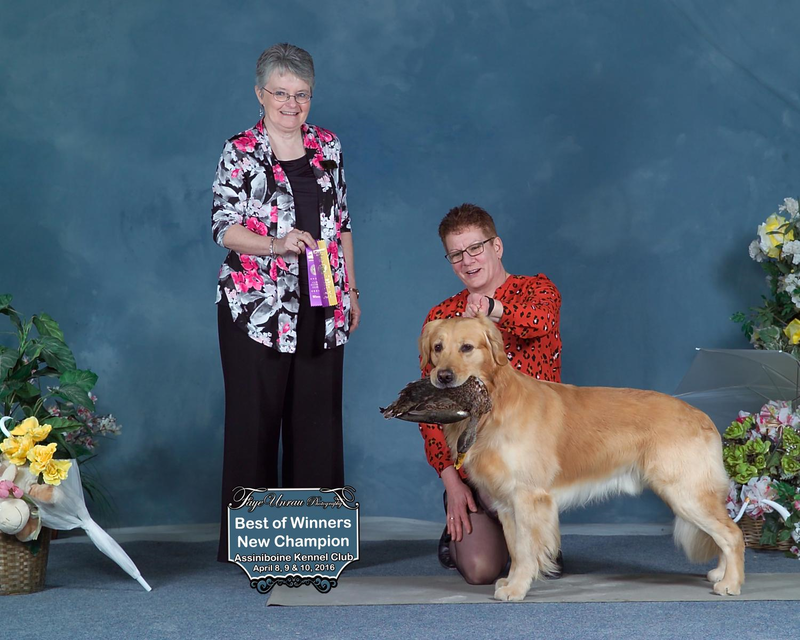 Congratulations to Jill Cairns and Ch Tidewaters Five O Bookem Danno RI TD CGN CD DD JH WCI for achieving Danno's recent show championship at the Assiniboine KC show. Jill has been very busy with Mr. Danno and he's having a great deal of fun. I love the show picture with the duck in his mouth, although the judge looks a little unsure about the whole thing! We're thrilled at what a lovely home Danno has and about how much Jill and Yo love him.